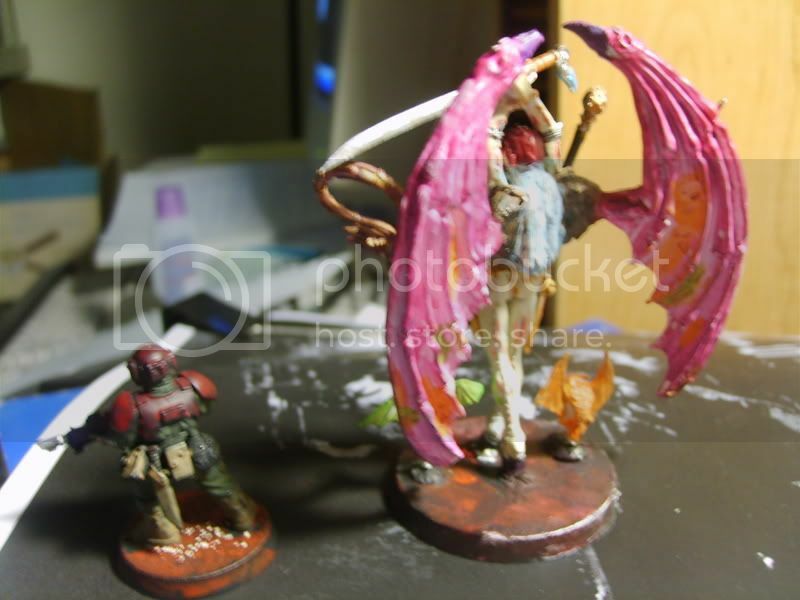 Why does Nurgle get his own deamon prince? surely Tzeentch, Slaanesh and Khorne are just as worthy. if your refuring to the Nurgle Deamon prince model, that came out during the Medusa campaign. They only add a few models to each army during campaigns. It would be very strange for GW to realease a model of all 4 during a campaign not based around Chaos. ok so why don&#39;t we show younger choas lovershow to make their deamon princes?!? well.... you could convert the Nurgle one to belong to other gods. In my case (Slaanesh) I would just remove the big belly and smooth it over, maybe add some breasts and a quick head swap! So Farsight did you ask this question for a particular reason? do you collect Chaos and want a Deamon Prince for another god maybe, or are you just curious? If I was going to make one for another god, I think I would start with regular demon prince. suerly thats an expensive way to make a less-powerfull deamon? and they may look too much like the greater deamons. But i guess its up too you in the end. With enough modeling putty, anything can happen. Perhaps you could use a Greater Daemon as a starting point to convert your own god&#39;s daemon prince? The Inquisitor model range is a great source as well. I converted an Excellent Daemoness for my Slanneshi force out of the Sevrina and Sevora models some time ago.